Presenting this set of slides with name - Ayurveda Human Lotus With 5 Elements Icon Image. This is a five stage process. The stages in this process are Ayurved, Natural, Herbal. Presenting this set of slides with name - Ayurveda Icon. This is a four stage process. The stages in this process are Ayurved, Natural, Herbal. Presenting this set of slides with name - Ayurveda Shown By Leaf Flower Pestle And Mortar. This is a one stage process. The stages in this process are Ayurved, Natural, Herbal. 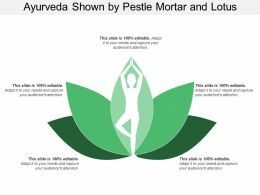 Presenting this set of slides with name - Ayurveda Shown By Pestle Mortar And Lotus. This is a five stage process. The stages in this process are Ayurved, Natural, Herbal. 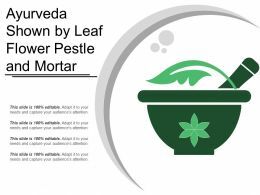 Presenting this set of slides with name - Ayurveda Shown By Lotus Mortar Pestle And Five Elements Icons. This is a five stage process. The stages in this process are Ayurved, Natural, Herbal. Presenting this set of slides with name - Herbal Icon For Ayurveda Medicine. This is a two stage process. The stages in this process are Ayurved, Natural, Herbal. Presenting this set of slides with name - Ayurveda Shown By Vata Pitta Kapha Icons. This is a five stage process. The stages in this process are Ayurved, Natural, Herbal. 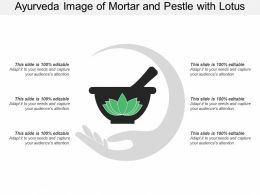 Presenting this set of slides with name - Ayurveda Image Of Mortar And Pestle With Lotus. This is a one stage process. The stages in this process are Ayurved, Natural, Herbal.